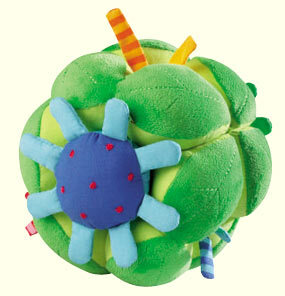 Even the smallest ones want to clutch at it over and over again and hold the super soft ball. With rattle. Made of velour. Measures 5" in diameter.